The Maytag Quiet Series 300 is automatic dishwasher designed to offer a quiet clean cycle that doesn't interrupt your home life with loud cleaning noises. Other than running quieter than many of its market competitors, the Quiet Series 300 is a typical automatic dishwasher in many ways. You simply insert the dishes and select the desired cleaning cycle you want. Operating instructions are provided in your user manual but there are some general instructions that every Maytag Quiet Series 300 owner should know before their first use. Scrape off any bones or large food particles from the dirty dishes. 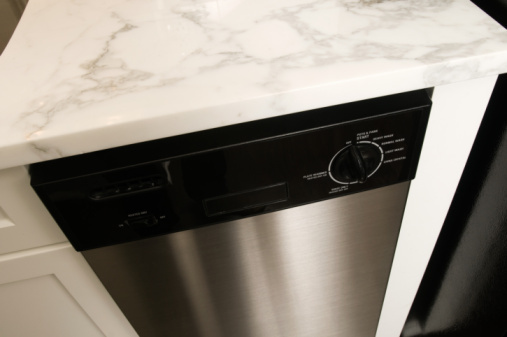 Load your dirty dishes into the Maytag Quiet Series 300 at angles that maximize the space and face dirty services toward the center of the dishwasher. Add the detergent to the holders located in the front of the unit. Close the dishwasher door and latch it. Press the pads on the control panel to select the cycle you want to use. Press the START/Cancel pad on the control panel to start the dishwashing cycle. Listen for the chime indicating the wash cycle is over. Unlatch the door and open it. 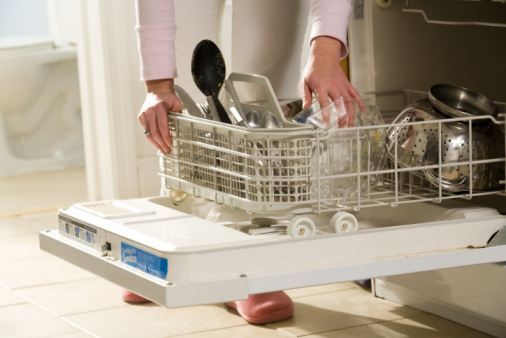 Remove the now clean dishes as soon as possible from the dishwasher to any rusting of the dishes. 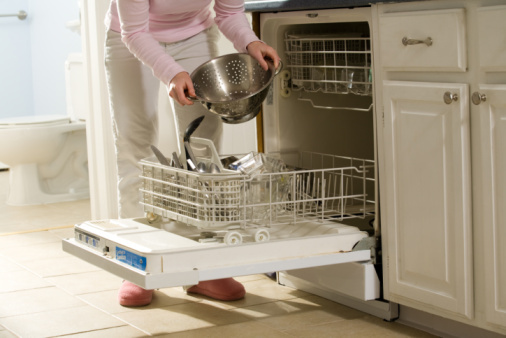 Remove any debris from the bottom of the dishwasher that may have collected from the dishes.